Implats CEO confident of funding during restructuring - SABC News - Breaking news, special reports, world, business, sport coverage of all South African current events. Africa's news leader. Miners outside the Impala Platinum mine in Rustenburg, 120 km (74.6 miles) northwest of Johannesburg February 21, 2012. South Africa’s Impala Platinum (Implats) is confident of having adequate cash while restructuring its operations and cutting its workforce despite reporting a wider full-year loss on Thursday. Implats plans to cut about a third of its staff – more than 13,000 jobs – over two years at its labour-intensive, conventional operations in the Rustenburg platinum belt. The number of shafts will be reduced to six from 11 with production cut to 520,000 ounces per annum from 750,000 ounces. “We understand the market fears but we are fairly confident we are well positioned,” said Chief Executive Nico Muller, referring to concerns over the company’s liquidity. Implats said in a statement a radical and urgent transition to a leaner and more profitable operation was the key to its future success. 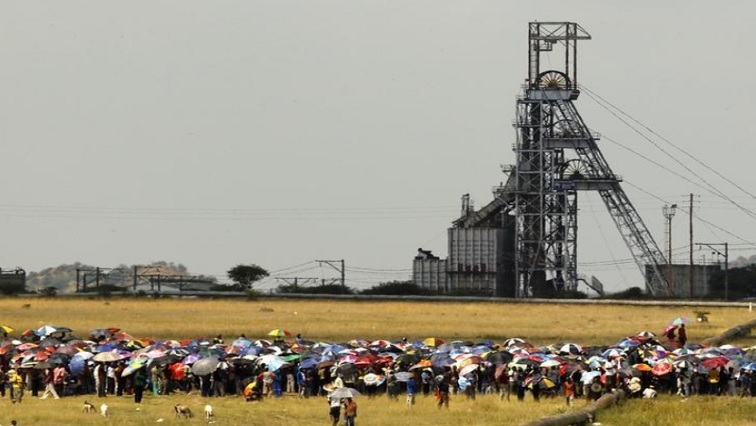 However, the Association of Mineworkers and Construction Union has warned of industrial action at Implats over its plans to reduce its workforce. The union led a five-month strike in 2014 at the operations of the world’s three largest platinum miners, including Implats. Muller said a strike could hit Implats’ finances. “If we have to have a five months strike it will impact on the business in a way that we cannot finance with our current position, anything over a month will force us to sit back and reposition our balance sheet,” said Muller. Implats losses expanded after it recorded an impairment worth 13.6 billion rand ($911 million), of which 13 billion rand was related to the restructuring of its Rustenburg operations. Diluted headline loss per share, the main profit gauge used in South Africa, which strips out certain one-off items, for the year ended June 30 widened to 171 cents per share compared with a loss per share of 137 cents in the year-ago period. Implats has a net debt to EBITDA ratio (earnings before interest, tax, amortisation and depreciation)of 0.96 times, with 6.2 billion rand headroom consisting of cash and undrawn facilities. Earnings were also hit by a one-off taxation charge of 1.2 billion rand from a change in the tax rate of Implats’ Zimbabwe unit Zimplats. Implats’ shares rose 5.6 percent to 17.67 rand by 1415 GMT, with traders saying the results were better than expected. “Despite an over supply of PGM’s in the market they are posting a good set of results if you take all of those factors into account,” Independent Securities trader Ryan Woods said. This entry was posted on 13 Sep 2018,06:37PM at 6:37 PM and is filed under Business. You can follow any responses to this entry through the RSS 2.0 feed. Both comments and pings are currently closed.